Britain says the withdrawal agreement won’t be changed but has not ruled out putting something in writing to allay Spain’s fears. Spanish private news agency Europa Press says Aguiriano told reporters in Brussels on Friday he can’t announce yet that Spain is dropping its veto threat because he hasn’t yet seen a written version of the British promise. A Spanish government spokeswoman says Spain won’t settle for anything less than veto power over any issue regarding Gibraltar in negotiations about Britain’s departure from the European Union. Isabel Celaa said Friday that prior approval on matters involving Gibraltar is “decisive” for Madrid to approve the Brexit agreement on future U.K.-EU relations. 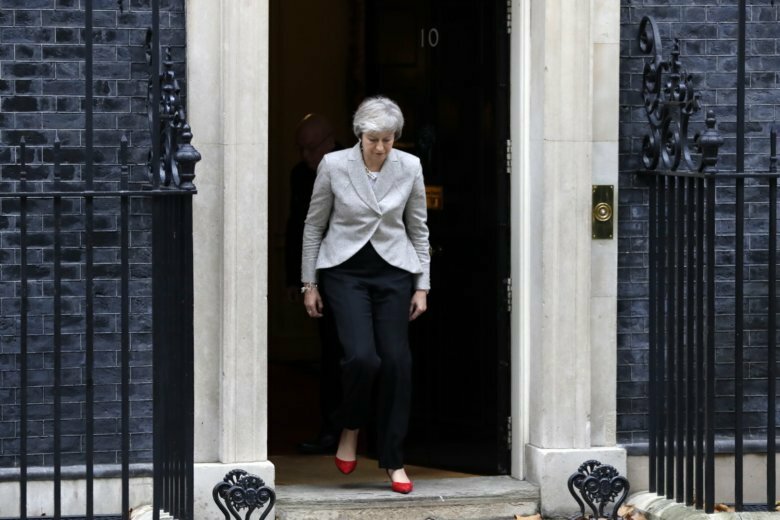 British Prime Minister Theresa May has refused to say whether she will resign if her Brexit deal with the European Union is rejected by Parliament. May said that once that happens she plans to tour Britain explaining the benefits of the agreement. A Spanish government official says the spat over Gibraltar can be resolved by modifying a single clause in the United Kingdom’s divorce agreement from the European Union. He said in an interview with Spain’s Onda Cero radio station that officials in Brussels were working on options to accommodate Spain’s concerns about Gibraltar. He estimated there was a 60 percent chance of success. Madrid has never dropped its claim of sovereignty over the rocky outcrop at the tip of the Iberian Peninsula, which was ceded to Britain just over 300 years ago. Chancellor Angela Merkel’s spokesman says Germany believes that outstanding questions about the Brexit deal will be cleared up in time for a special European Union summit to go ahead on Sunday. Spain has warned that it will oppose a declaration on future relations with Britain if it isn’t guaranteed a say over the future of Gibraltar, though it doesn’t have a veto on the actual withdrawal agreement. Germany’s finance minister says Berlin still hopes for a regulated British exit from the European Union but that the country is also prepared for the possibility of a Brexit without a negotiated deal. European Union diplomats are meeting to finalize the draft divorce agreement between Britain and the bloc, amid a warning from Spain that it will oppose the deal if it isn’t guaranteed a say over the future of Gibraltar. Spain doesn’t have a veto on the withdrawal agreement, which does not have to be approved unanimously. But it could hold up a future free-trade deal between Britain and the EU, which would require approval of all 27 EU nations.